Recently, the well-known American video game developer and digital distribution company, of course, I am talking about the Valve Corporation has just announced two new applications for iOS and Android devices that will simply allow all its users to play Steam games on smartphones. Thanks to the increase in the speed of Internet connections, the streaming game that was a trend a few years ago with services such as Onlive, is now possible. 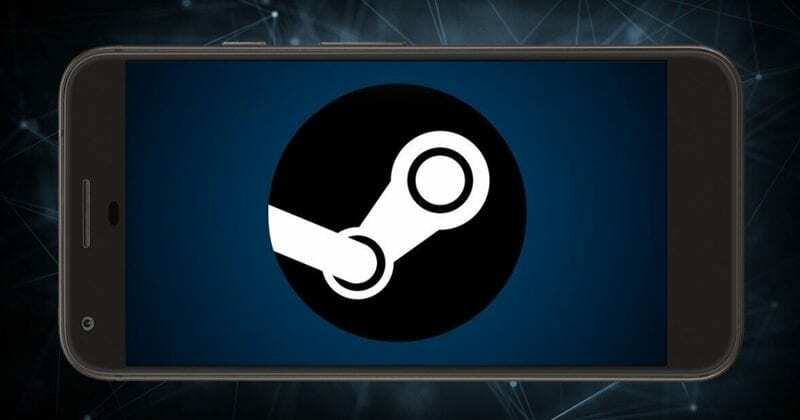 Valve is one of the companies that offers a streaming game service thanks to its Steam Link hardware and now, thanks to the Steam Link app for Android and iOS, we can play PC games on our mobile or tablet. Valve has just announced two new applications for iOS and Android devices. This is Steam Link App and Steam Video App, two tools that, according to the company, will serve to ‘extend the services and accessibility of Steam’. The two applications will also allow us to enjoy the content of the platform on Android (phones and tablets) and iOS (iPhone and iPad) via streaming. Steam Link App is the most interesting application of those presented by Valve and, emulating what can now be done with the Steam Link hardware on our television, Valve will allow users to enjoy the Steam library on their mobile or tablet. The only limitation is that the devices have a 5GHz Wi-Fi capability to connect to the high-speed network and, thus, enjoy games without latency. Steam Link for Android and iOS will be compatible with the Steam Controller, as well as with other MFI controls. If you want to be the first to try this service, you will have to wait until next May 21, when Steam Link App will be launched. Of course, you must take into account that, to enjoy this, you must have a PC or Mac to run the game and “send” it to the mobile device. The second application that Valve has presented for mobile is Steam Video. It is an application that will allow us to enjoy the library of Steam videos in iOS and Android and, yes, we can take it out of the house. In devices connected to WiFi or with LTE connections, we can enjoy the Steam video content. This app will arrive somewhat later than Steam Link, the launch being located in summer. Returning to Steam Link App, it is very interesting to see the list of devices confirmed by Valve. And, in addition to mobile phones and tablets, the North American company has confirmed that Apple TV will be able to function as a Steam receiver to take games from the platform to television. In this way, Apple TV will become a console, although, again, you will need a PC or Mac to perform the calculations of the game and send them via streaming. If you have an Apple TV at home and you had thought about making the jump to a Steam Link to connect it to TV, now it will not be necessary anymore. In short, it will be a service similar to the service that is offered by the tech giant Microsoft right now with its Xbox ecosystem. If we have a PC with Windows 10 (laptop, desktop or a Surface) and an Xbox One, we can play via streaming to the Xbox One on our PC. The difference is that, with Steam Link, we can play Steam games on the mobile.